Today I have received my HP TouchPad I have waited for. 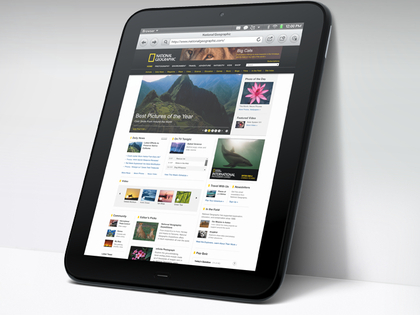 This is a new tablet from HP with the same form factor as the well known iPad. The greatest difference between them is the operating system. HP acquired Palm for it’s advanced webOS. With features like true multitasking, non interrupting notifications, intuitive navigation and work flow and a lot more. In the short amount of time I have spend getting to know the TouchPad make me realize I’m already quite accustomed to it. This post is actually written on the TouchPad using the WordPress app from the HP app store which I’m currently test driving and I like it!